But yoga does more than just offer you exercises for relaxation. It offers you a way out of the cycle of stress that so many people find themselves in today. What’s causing all this stress? And more importantly, what can yoga do to help? “Yoga produces a tremendous impact as far as stress related illnesses are concerned – whether it is a tension headache, or angina! I see in my clinical practice that when an individual takes up yoga, his stress management becomes that much better. Like it or not, we are all caught in a world where stress is epidemic, and this “the stress of modern life” affects us all in one way or another. … That’s surely not good! In fact, medical research has confirmed the role of stress in premature ageing, as well as its complicity in the many common health problems today such as hypertension, diabetes, asthma, sexual dysfunctions, insomnia, peptic ulcer, depression, neurosis, digestive disturbances, and even cancer… just to name a few! On top of that, stress weakens the immune system and makes one vulnerable to infection and a whole host of other medical conditions. … Yet relief from modern medicine is often less than fulfilling. Indeed, many who seek the advice of a doctor are simply told that they are ‘tense’… which is what they already knew. … What, then, is one to do? In the science of yoga, stress relief is ever-so-important, which is why there are many highly effective relaxation and stress releasing techniques within the yoga arsenal, some very powerful ones which I’ll introduce you to shortly. … But first, the reason why yoga succeeds in stress reduction where other methods often fall short, is because it goes beyond techniques for addressing the physical symptoms of stress alone. It finds the problem and helps you to fix it! What Does Yoga Stress Management Involve? “Modern man misunderstands this science of Yoga and wants it to be his miracle pill. A pill that he takes only once, and wants all his problems to vanish into thin air. 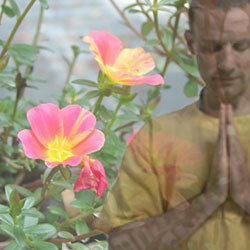 Yoga is an integrated science that develops physical, mental, emotional and even spiritual health. Yoga also guides us in the cultivation of a lifestyle that is conducive to health and harmony on all levels. As a truly holistic science of living, yoga deals with every aspect of health - the physical, mental, emotional and spiritual. Many yoga stress relief techniques from hatha yoga, jnana yoga and pranayama. Personal development, which involves training in proper, sane living. Vasudeiva Kudumbakam, the unity or interconnectedness of all of mankind, which helps us to eliminate all of the false barriers and conflicts that come from racial, religious, social or family prejudice, so that we may live harmoniously and productively with all our fellow beings. The Pancha Kosha reveals man as a multi-layered being – not just a physical form, but possessive of more subtle, unseen dimensions including the mental, energetic/emotional, higher intellect and cosmic self, all of which must be in harmony for true peace and lasting health. Pancha Klesha are the five mental afflictions of Avidya (ignorance), Asmita (ego), Raaga (attraction), Dwesha (repulsion) and Abinivesha (urge to live at any cost), which must be eliminated through kriya yoga in order for health, harmony and happiness to unfold. Yoga also reveals concepts such as nishkama karma, or the selfless-service expounded so eloquently in the Bhagavad Gita; as is the concept of samatvam, or ‘equanimity’, which is developed through the practice of vairagya, or ‘detachment’. Above all else, yoga must be approached as a ‘way of life’ – one that lays emphasis on clarity, understanding, healthy and evolutionary attitudes, and right action… which makes the practice of yoga for stress relief second to none. While the control of the breath (pranayama) stabilizes the mind and emotions, in both the hatha and jnana yoga traditions you’ll find the many yoga stress relief techniques for the purification of the physical, mental and emotion self. These stress relievers are second to none, many of which can be practiced by anyone. “The most common causes of stress are the Shat Ripus or the six enemies of the spirit. … and the tools and guidance for understanding ourselves and the world around us to the deepest possible degree. … while the higher practices of yoga develop the mind and establish a mental balance that is unsusceptible to stress and disharmony. I’ve put together a nice little instructional guide of some simple, but highly effective yoga stress relief techniques.